Aquarium Rocks and Caves - How To Create Aquarium Rockscapes? 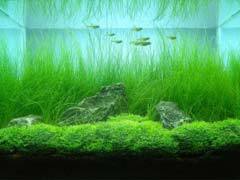 Aquarium Rocks and Caves – How To Create Aquarium Rockscapes? One important part of freshwater or saltwater aquarium supplies is rocks. Rocks make a great aesthetic addition to any take. Moreover, they add structure to your tank which fish love. Aquarium rocks can be just about any rock you can find. When you do find the rocks you want, however, be sure to thoroughly clean them with soap and water before they go into the tank. You don’t want to introduce anything harmful to the tank that may be on natural rocks. Aquarium rocks not only provide structure for fish, they also provide a surface for good algae to grow. This is great for tanks with bottom, and filter feeders along with algae eaters. Some live aquarium plants even require rocks to grow on. These plants can give your fish even more places to hide and relax. When first setting up your tank with new aquarium rocks it is best to start over if you already have a working aquarium. Begin by moving your fish to a temporary home with plenty of oxygen for a few hours. Then drain your water while doing a regular tank cleaning. Once the water has been drained, you can build your new rockscape. Afterwards, just fill your aquarium like normal but don’t put in you fish yet. Let the aquarium filters work for a bit to make sure any harmful particulate matter has been cleaned up; then you can reintroduce the fish to their newly remodeled home. Once you aquarium rocks have been in your tank, there is no need to repeat this. Even rocks that you buy from a pet store should be put through this procedure. Live rocks for saltwater tanks are the only exception. So the next time you do a water change feel free to change things up a bit. This will break up the monotony of looking at the same old fish tank for both you and your fish. Just be sure they can still swim in and around gaps in the rocks, that’s the whole point of your new rockscape.